High-quality high-protein nutrient, the cornerstone of which is a combination of soy protein isolate and whey protein concentrate. This combination is ideal for use by the body to maximum effect muscle mass and rapid elimination of catabolic processes. 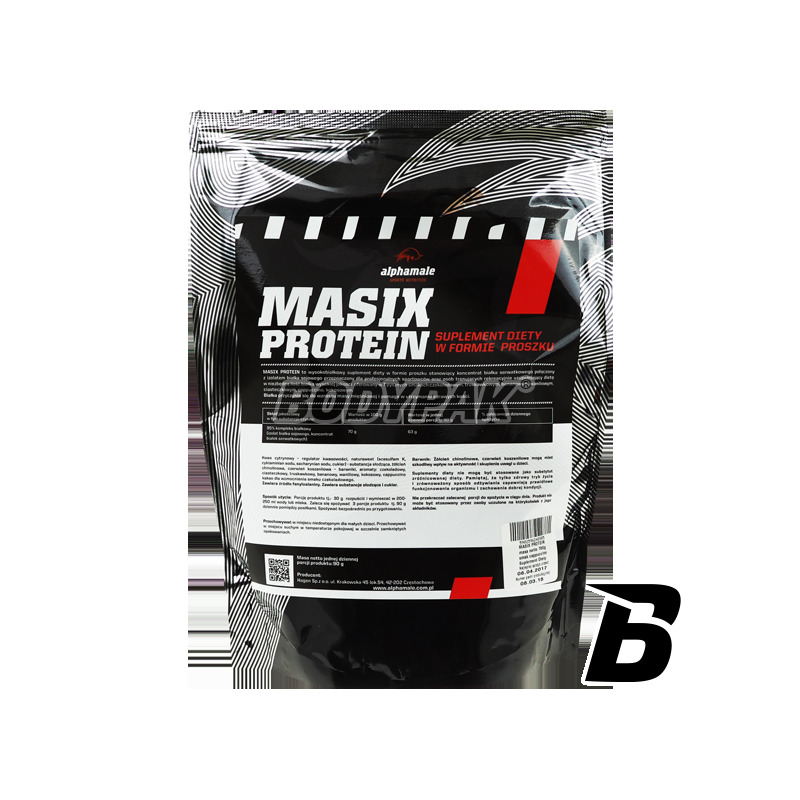 Alpha Male MASIX PROTEIN - a protein complex, which is the foundation isolate soy protein combined with whey protein concentrate. This combination is ideal for use by the body to maximum effect muscle mass and rapid elimination of catabolic processes. This conditioner is recommended for persons with increased protein requirements, aiming at rapid development of muscle mass and strength, especially athletes, but people practicing recreational. Soy protein as a component of MASIX PROTEIN has multidirectional effect on the cardiovascular system. It contains the active ingredients to inhibit the oxidation of fats in the blood stream and affect the cholesterol lowering. In addition, the soy protein contained in phyto estrogen can inhibit the bone loss process. It is worth remembering that the protein of all nutrients exerts the strongest influence on the increase metabolism, as well as long this effect persists, it is advisable to increase the intake of this nutrient, among others, during slimming and weight control athletes. When buying protein supplements should pay attention to their BV, or biological value, otherwise known as the assimilation of protein. The higher the ratio, the faster the supplement will be used by the body. 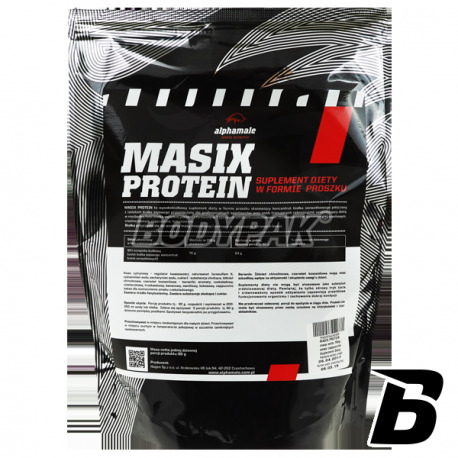 MASIX PROTEIN meets the expectations of customers and created a winning formula of high biological value to increase your muscle mass was optimal and proportional to the load of training and diet. Ingredients: 95% of the protein complex (soy protein isolate, whey protein concentrate) acid, citric acid - acidity regulator, natursweet (acesulfame K, sodium cyclamate, sodium saccharin, sugar) - sweetener, quinoline, cochineal red - colors, flavors (chocolate, biscuit, strawberry, banana, vanilla, coconut, cappuccino), cocoa to enhance the flavor of chocolate. Kupiłem ze względu na niską cene, ale to był błąd... nie wiem gdzie produkują to białko, ale jakościowo to jakiś dramat.